X-Press Magazine – Entertainment in Perth – MISS PEREGRINE’S HOME FOR PECULIAR CHILDREN – Curiouser and Curiouser. MISS PEREGRINE’S HOME FOR PECULIAR CHILDREN – Curiouser and Curiouser. Based on the young adult series by Ransom Riggs, Miss Peregrine’s Home For Peculiar Children gives director Tim Burton a chance to indulge his natural weirdness. Think X-Men:First Class, but with more than a hint of Beetlejuice, and you come very close to what this movie is like. Following his grandfather’s death, Jake (Asa Butterfield) finds himself drawn to the old stories the old man used to tell him. These strange tales were about a home for children with wondrous abilities under the care of a woman who could turn into a bird, Miss Peregrine (Eva Green). Visiting the small Welsh island where the orphanage was located before World War 2, Jake starts to unravel the mystery of what happened to the home, but something else is also hunting the peculiar children. Following on Jake’s heels are the monstrous hollowghasts, with their own sinister plans for the orphans and their protector. 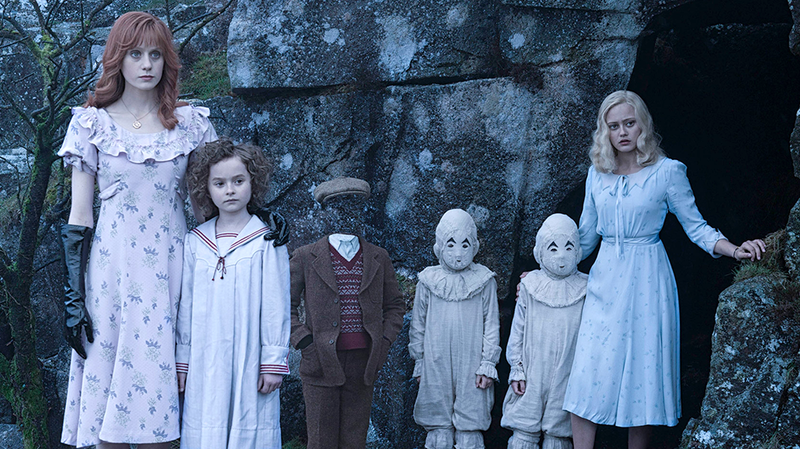 Miss Peregrine’s Home for Peculiar Children is a film at odds with itself. Beyond the built in target audience of fans of the novel series, it is hard to imagine who this film is pitched to. Scenes of eyeball eating monsters or knife wielding homunculi will likely terrify the very young, but the tone of the film is certainly aimed at a younger audience. Despite this jarring contrast, Burton’s trademark sense of macabre is one of the strengths of this film, producing some moments of sheer wonder and horror. It fits the themes that the narrative sets up, that celebration of diversity and weirdness. A pity then that this film is so patchy. It takes a long time to set up, and despite a chopped and perfunctory approach to storytelling, Burton takes the first half of the film to get his pieces in place. As such it is rather stilted, and you don’t really engage with the characters and the setting till the second half. Then there are some curious performances, pitched at rather odd levels to reflect the characters. Samuel Jackson is certainly gnawing through every piece of staging, with his sharpened teeth and dead eyes. By contrast, the usually fine Asa Butterfield is so down played as to appear almost bored with events. Only Eva Green seems to hit the right balance, playing a completely over the top character with ravenous glee (literally in the case of one dinner). Still, Burton’s visuals are a wonder to behold, and despite the stilted script and some of the off kilter performances, you find yourself being captivated by the magic of this film. This may be a flawed and somewhat hollow work, but it has charm.